Actual Size: 11'4" x 10'4" x 12'6"
Not small Like a Mini, but Lower in height. Designed to fit into more buildings. The posted rate for this Products up to 4 hrs. contact the office to provide an accurate quote that may include any special or discounts available. 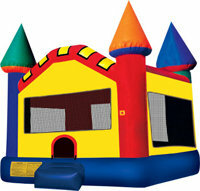 The price for this unit is $170.00 for up to 4 hours.